If you are ready to be serious about changing why you suffer, then you are ready to learn to truly meditate. Anyone, from anywhere, of any cultural, religious, ethnic, or spiritual background, can meditate. Meditation is not about beliefs, theories, dogmas, ideas, or cultural values: it is a state of perception. Meditation is a state of conscious perception from which emerges understanding of ourselves and the universe around us. In the state of meditation, one can find understanding, comprehension. By reflecting on a problem or question, one can find answers, insight, wisdom, guidance. That is what meditation is for: acquiring information and understanding it. 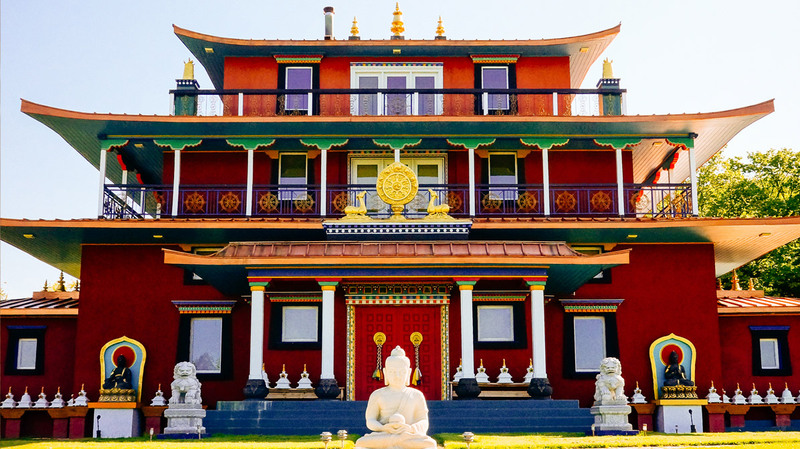 To help you develop an effective meditation practice, Glorian will host a meditation retreat from May 30 to June 4, 2017 at the Buddhist temple Padma Samye Ling Retreat Center and Monastery, in Sidney Center, New York. We are the only outside group with access to use this sacred, beautiful place. The focus of the retreat will be on effective meditation, thus the majority of the retreat program will be meditation and supporting practices. As there are limited accommodations, priority will be given to those who have not attended our retreats previously and to participants in our Distance Learning Program. Hello..my name is Yvonne Hutton from the UK and I am very interested in attending the 2017 Retreat. I have not attended before and may have friends who may be interested. What do I do next? Hello, i am usha from india. I wish to attend this 2017 retreat.i have never attended any retreat before..thank you.. I am from Washington Dc and I would like to get a hotel near by and like to know how much it cost me and my husband to attend the treat?